Welcome back to the snowy start of the Spring 2019 semester! We have a few updates / reminders to share for Turning Technology users. Canvas Integration. As a reminder, Turning Point 8 must be used with Canvas – and will not work with Desire2Learn. Vendor Support. Turning Technologies offers Phone, Chat and Email support for students and instructors Monday – Friday from 7am to 8pm (Central Time). Chat: Visit http://www.turningtechnologies.com/ – a chat window will appear in the bottom right corner during open hours. Course Roster Sync. With Turning Point 8 and Canvas, the course roster sync has been greatly improved – and now happens on a nightly basis! You will need to Publish your course before you can sync the course roster. The video below will walk through this in more detail and show some examples. If you have questions regarding TurningPoint, please contact the UW-W Learning Technology Center. We recently discovered that the new clickers receivers provided from Turning Technologies will not work with the currently installed version of TurningPoint 2008 (4.3.2). To mitigate this problem, we are going to install the latest point release of TurningPoint 2008 (4.5.1) on all windows based classroom computers beginning at 5pm on Thursday, September 19th, 2013. Make sure that you have PowerPoint completely closed on your computer. 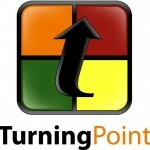 Find the application named “TurningPoint 2008 (4.5.1)” and double click it. 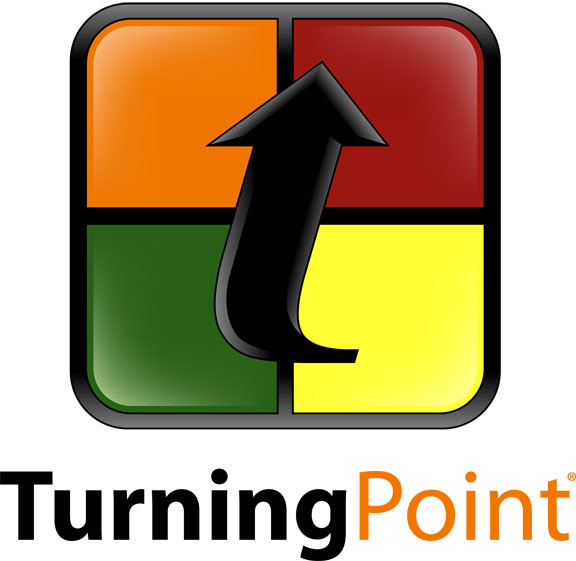 Once the installation finishes, you will now have the 4.5.1 version of TurningPoint installed on your machine. The first time you open your existing clicker presentations, you may receive a notification that they need to be updated to the latest version. Click “Yes” to allow the conversion process, and the rest will be done automatically for you. Be sure to save the presentation after it has been converted. We are also planning a migration to TurningPoint 5, along with some additional levels of D2L integration. Additional information will be made available at a future date. The upgrade to TurningPoint 5 will NOT take place in the middle of the semester. If you have any additional questions or concerns regarding this, please contact the UW-W Learning Technology Center. In Office 2007 and Office 2010, there is a known issue with hyperlinks in PowerPoint. Any time a hyperlink to an outside program is used in a presentation as a certain type of custom animation, this will cause PowerPoint to crash. Since TurningPoint uses these types of animations as their base for functionality, this issue is common among its users. While Turning Technologies is actively investigating this issue at this time, there are some useful and easy workarounds available. Please view the TurningPoint Hyperlink Workaround PDF for more details about the hyperlink workarounds. If you have any other questions or concerns, please Contact D2L Support. ResponseWare is a web-based polling application from Turning Technologies that lets participants use the devices they use most, such as their mobile devices and computers. Participants using smartphones, laptops, and other Internet-connected devices can respond in real-time to interactive polling questions. This application can be used as a replacement for a clicker keypad, and a ResponseWare license can be purchased directly from Turning Technologies via their “Student Store” website. Students who opt to use the ResponseWare enjoy the benefits of cost savings and are not required to keep track of and maintain a separate clicker keypad device. Both ResponseWare and clicker keypads can be used in the classroom simultaneously, thereby allowing instructors to accommodate students with and without a personal mobile device. To use both ResponseWare and clicker keypads, instructors simply enable use of ResponseWare within the Turning Point software that is already used. For more information on ResponseWare, please see either the ResponseWare for Instructors wiki page or the ResponseWare for Students wiki page. For more information on clickers and TurningPoint, please see the Clicker Resources page.